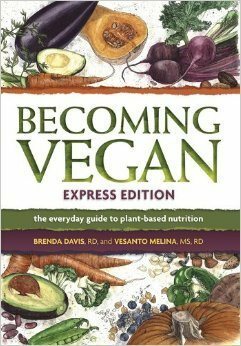 The last two decades have been a time of maturation for many of us, and a coming of age for the vegetarian movement. 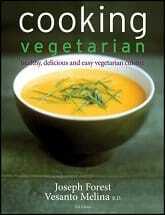 In 1982, the year of Common Ground’s birth, vegetarians were typically regarded as part of the counterculture. Yet the seeds of change from the 70’s had fallen on fertile soil and taken root, and these would have far reaching ramifications in the marketplace, among health professionals and across our entire culture. Here are a few examples. In 1983, chef Yves Potvin cycled across America, and as he cycled, questions arose. Could healthy versions of easy-to-use favourites like hot dogs be created? Could fast foods be free of cholesterol and saturated fat? At the same time, could these meet and even exceed our standards of flavour? As Yves pedalled thousands of miles, a vision was born. In January 1986, I was invited to present a seminar on vegetarian nutrition to the dietitians and home economists that formed the B.C. Nutrition Council. I had been vegetarian for eight years, and it began to dawn on me that dietitians, physicians, nurses and teachers were hungry for answers about the phenomenon that was occurring among some of their clients, patients and students–the replacement of meat, fish and poultry by plant alternatives. To maintain their credibility and keep up with the times, these professionals needed reliable, scientifically based answers to nutrition questions that had not been part of their academic training. In 1987 John Robbins’ Diet for a New America was released and his powerful, passionate voice alerted us to how our eating habits affect our lives, and indeed all of life on our planet. A small group of us invited John to come and speak in Vancouver, timidly hoping to draw enough of an audience to cover the rental fee for the rather large hall. We were awestruck to find that he drew a capacity crowd, plus hundreds that lined Robson Street, unable to enter the lecture theatre for his riveting presentation. Over the next few years, the climate was exactly right to nurture the emergence of courses and books on vegetarian nutrition and vegetarian food. Having lectured in nutrition on U.B.C.’s faculty, I began by offering vegetarian nutrition classes through the University’s Department of Continuing Education. It soon became obvious that nutrition lacked sensory appeal without food! Vegetarian cooking classes, (advertised in Common Ground, as a matter of fact), were an instant success– mine and those of others. I was joined by two classically trained chefs, Joseph Forest and Michael Fisher. Our course frequency leapt from twice a year to three courses a month. We were invited to appear on Gabereau, the CBC National News and were interviewed for Maclean’s magazine. By 1992, changes were appearing in the way dietetic associations characterized vegetarian diets. Instead of just telling women that it was dangerous to attempt to be vegetarian or vegan during pregnancy, sound advice about how to manage well was being offered (if one looked hard enough.) A decade later, a significant shift has occurred in the way health professionals regard vegetarian diets that were once considered “risky”. With a little know-how, anyone (regardless of blood type) can succeed at becoming vegetarian or vegan, and reap immense health benefits in the process. Today, it is clear that the risky diet is, instead, that which is laden with cholesterol and fat. Food safety issues, Campylobacter, Salmonella and Listeria are related to factory farming and to slaughterhouses. E coli has been linked with Alberta’s Feedlot Alley, and Walkerton’s dairy farming community. And this diet is centered on plant foods. Today, 4 percent of Canadians consider themselves vegetarian and eat that way. There’s another big crowd that like to be called vegetarians, though their diet is not entirely free of meat, fish and poultry, and a further segment of the population that actually eats that way but doesn’t identify with the “v” word. Among young adults, there are twice as many vegetarians as in the North American population at large. 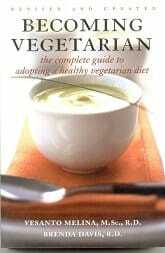 There have been significant changes within the vegetarian community. Twenty, and even ten years ago, the word vegan* was almost unknown. Most vegetarian diets were heavy on the omelets, grilled cheese sandwiches and three-cheese lasagna. Yet we began to realize that whatever one’s reasons for being vegetarian, they extended to other animal products, not just meat. People whose primary dietary motivation was health noted the cholesterol and saturated fat contents of eggs and dairy products. Those with environmental concerns observed that dairy and egg farming can lead to massive amounts of manure, and to water pollution, and these byproducts may be laced with antibiotics and other drugs. Vegetarians whose diet was chosen for animal rights reasons could not fail to notice that the milk cow and the (de-beaked) laying hen is destined for the same slaughterhouse line after their productivity is exhausted. This is true after a miserable factory farm existence. It’s true for those who were “free” range and organically fed. Today, we find that the proportion who rely on eggs and dairy products has dropped from 95 percent of vegetarians to 64 percent, that 36 percent are vegan and that the shift toward plant foods continues. Vancouver’s lively EarthSave Society (604-731-5885) hosts potlucks, speaker events, dine-outs, the Taste of Health food fair and a terrific Toastmasters club; members include people in all stages of transition toward a plant-based diet. Of United Airlines’ half million vegetarian meals served on flights during 1999, 40 percent were vegan. In response to customer demand, vegan products have a firm foothold on supermarket shelves. Safeway sells many types of plain and marinated tofu. Save-On-Foods stores feature well stocked and growing natural foods sections and have persevered in offering organic produce. Sales of veggie “meats” have more than tripled in Canada from 1997 to 2001. B.C. based Yves Veggie Cuisine, and its prizewinning product line is an international success. While sales of fluid milk fall, soymilk crowds the coolers. Purchasers include the vegetarians—yet most buyers are nonvegetarian. Restauranteurs took note of polls indicating that 57 percent of diners “sometimes, often, or always” order a vegetarian item. As a result, most restaurants now offer several meatless choices. Not only that, the waitress or waiter and the chef are likely to know the meaning of the word vegan, and can generally come up with an entirely plant-based dish to suit. Vesanto Melina is a Registered Dietitian, who has taught nutrition at the University of British Columbia and at Seattle’s Bastyr University. 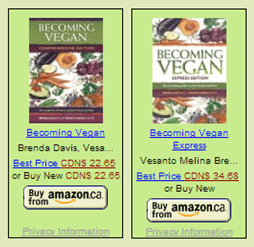 She was a coordinator for the vegetarian section of the Manual of Clinical Dietetics, and is co-author of the nutrition classic “Becoming Vegetarian” (now in fourteen countries and five languages), “Cooking Vegetarian” (with Joseph Forest), and “Becoming Vegan” (with Kelowna dietitian Brenda Davis). Her newest books are “Healthy Eating for Life to Prevent and Treat Cancer” and “Raising Vegetarian Children”. Vesanto is widely known in the press, TV and radio. She is an internationally known speaker, has presented workshops on the topic of vegetarian nutrition to over 2200 dietitians throughout North America and received the prestigious Clintec award for leadership in dietetics. She regularly consults for government and industry and for individual clients from her office in Langley BC. Her website is www.nutrispeak.com and phone 604-882-6782. She was present at the celebration party that launched Common Ground twenty years ago. 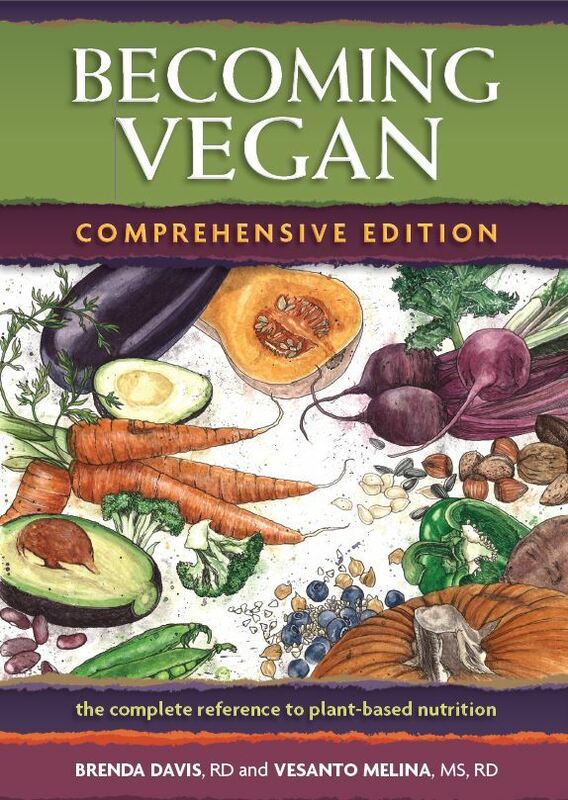 *A vegan diet is derived from plant foods and includes no animal products.